On the heels of an NBA owner telling the NBA leadership to shove it, we have an NFL Team President ‘diplomatically’ telling the Senate ‘leadership’ to shove it! Of course the real story here is WHAT THE HELL ARE US SENATORS DOING MEDDLING IN THIS TO BEGIN WITH?? These mentally and creatively challenged lawyer/politicians do nothing but pass laws we don’t need and waste our time and money on matters that are NONE OF THEIR BUSINESS! 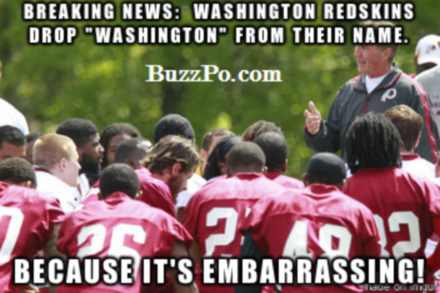 How about these idiots read The Constitution for once and try to understand WHAT THE HELL THEIR REAL JOB IS! Better yet, how aboiut we get these morons the hell out of Washington all together so that we can resuscitate America. 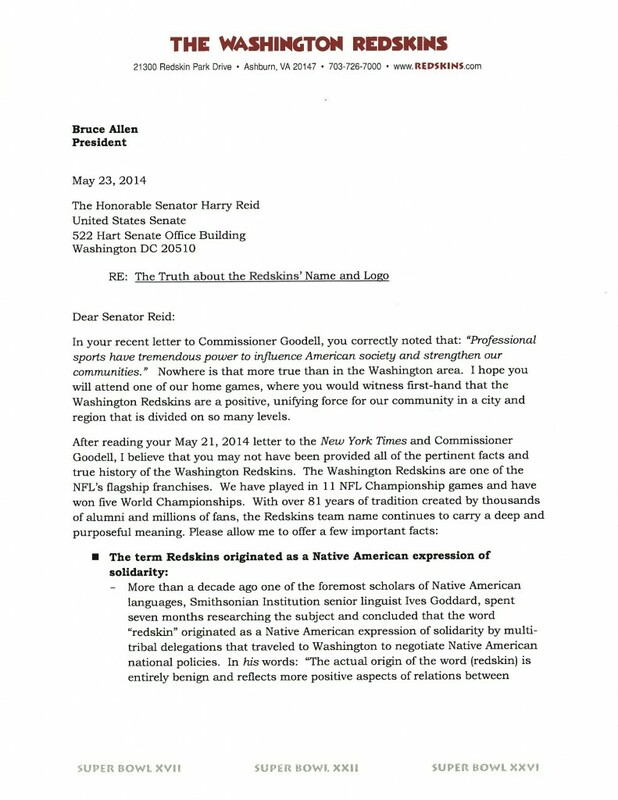 When NFL Commissioner Roger Goodell received a letter from 50 Senators urging the league to endorse a name change for the Washington Redskins, President Bruce Allen responded with his own letter to Senator Harry Reid on Friday. In Allen’s letter to Sen. Reid, he offers a “few important facts” referencing some historical background as well as surveys conducted by the Associated Press and the Annenberg Public Policy Center of Pennsylvania.